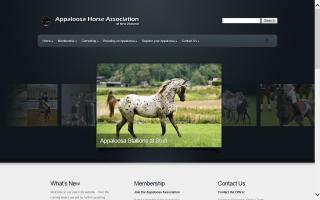 Appaloosa Organizations Directory - O Horse! 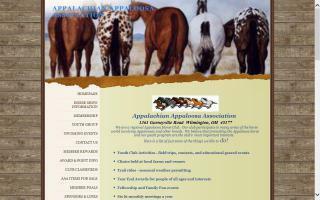 The American Apploosa Association, Inc. Worldwide has been serving the Appaloosa industry since 1983. This national Appaloosa registry maintains the motto: Seeking Progress in Harmony with Tradition. We are totally dedicated to the Appaloosa Horse. We offer recognition, education, promotion, encouragement of youth, and maximizing members' enjoyment of the Appaloosa horse. 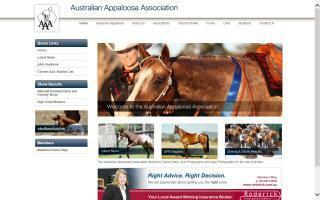 Appaloosa horses in New Zealand: the website of the Appaloosa Horse Association of New Zealand. The International Breed Registry for the Appaloosa Horse. 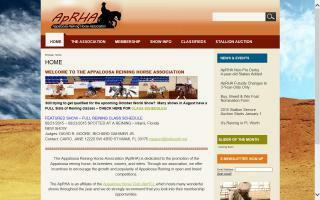 The web site of the official registry of the Appaloosa Horse in Canada.